TED was born in 1984 out of Richard Saul Wurman's observation of a powerful convergence among three fields: technology, entertainment and design. The first TED, which he co-founded with Harry Marks, included a demo of the compact disc, the e-book and cutting-edge 3D graphics from Lucasfilm, while mathematician Benoit Mandelbrot demonstrated how to map coastlines using his developing theory of fractal geometry. 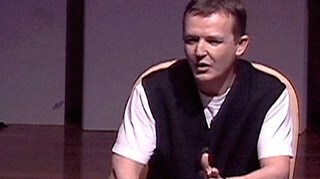 In 2002, Chris Anderson shares his vision for the future of TED. Meanwhile the roster of presenters broadened to include scientists, philosophers, musicians, business and religious leaders, philanthropists and many others. For many attendees, TED became one of the intellectual and emotional highlights of the year. That was certainly true for media entrepreneur Chris Anderson, who met with Wurman in 2000 to discuss the conference's future. A deal was struck, and in 2001, Anderson’s nonprofit Sapling Foundation acquired TED, and Anderson became its Curator. In taking the conference nonprofit, Anderson stood by the principles that made TED great: the inspired format, the breadth of content, the commitment to seek out the most interesting people on Earth and let them communicate their passion. It soon became clear that the ideas and inspiration generated at TED should have an impact well outside the city limits of Monterey. an audio and video podcast series, TED Talks, in which the best TED content is released free online. 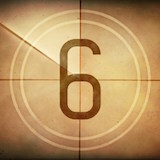 The first six TED Talks were posted online on June 27, 2006. By September, they had reached more than one million views. TED Talks proved so popular that in 2007, TED's website was relaunched around them, giving a global audience free access to some of the world's greatest thinkers, leaders and teachers. the first TED Talks posted online, shared with the world on June 27, 2006. Each one is powerful and moving — and still resonates today. In 2008, in part thanks to new awareness created by TED Talks, we launched TEDActive, a simulcast version of the springtime TED Conference, allowing more people to attend at a lower price. By 2009, the number of TED Talk views had grown to 100 million views, making Internet heroes out of speakers like Jill Bolte Taylor and Sir Ken Robinson. 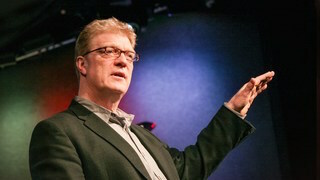 Our most popular talk to date, Ken Robinson's was the first talk to reach 10 million views. In that same year, the TED Fellows program was launched to bring up-and-coming innovators from around the globe to the conference for free. The same year saw the creation of TEDx, a radical opening up of the TED format to local, independently organized events. Around the same time, we embarked on the TED Translator program, creating the infrastructure for TED Talks to be translated into 100+ languages. In March 2012, TED-Ed was launched, creating short video lessons aimed at educators, and April 2012 saw the debut of TED Radio Hour, a partnership that brings ideas and stories from TED Talks to public radio listeners. All of these projects aim to create ever greater access to ideas, for free. Watch the world change over three decades in this nearly year-by-year playlist. In the fall of 2012, TED Talks celebrated its one billionth video view. As TED Talks continue to be watched around the world, with an average of 17 new page views a second, TED conferences and events continue to inspire, motivate and thrill attendees. 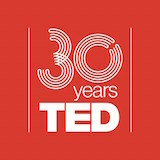 In 2014, the annual TED Conference celebrated its 30th anniversary in Vancouver, Canada. The theme of this milestone conference: "The Next Chapter," both a reflection on developments of the past 30 years as well as a look at what's ahead.